A Statement of Cash Flows tracks what’s coming into your business and what’s going out of your business during a specified accounting period and explains the change in cash by three activities: operating, investing and financing activities. You can think of it as a compressed version of your small business’s checkbook with a few other items that affect your cash thrown in. It is a helpful tool and an annual cash flow statement ought to be prepared for most small businesses…unless you are a very small business. How detailed it gets depends on the size of your business. However the following is a general cash flow format you can go by to generate your statement of cash flows. Your heading will specify the time period. For example, the heading may state ”For the Three Months Ended March 31, 20XX” or ”The Year Ended December 31, 200XX”. Cash Flows from Operating Activities: This section reports a summary of cash receipts and cash payments from operations and is the change in cash as a result of the daily operations. It is the balance of money received from customers and cash paid to suppliers, personnel, etc. It also includes interest paid and interest and dividend received on securities that the firm holds. The “Cash Flows from Operating Activities” is probably it most complex section because there are two common methods for preparing this section: the direct method and the indirect method. Both methods will yield the same result, but different procedures are in each one. With the direct method, the different cash flows (cash received from customers, cash paid to suppliers, etc.) are shown separately. The direct method reports the sources of operating cash and the uses of operating cash (cash received from customers, cash paid to suppliers, etc. ); however, the necessary data may not be readily available; so many small business owners use the indirect method. The indirect method reports the operating cash flows by beginning with the net income from your income statement. Then the net income is adjusted for revenue and expenses that do not involve the receipt or payment of cash. Adjustments are made in order to undo accrual accounting. Learn both methods because although the indirect method is easier to prepare, a lot of loan officers require the direct method…which…by the way…requires you to compile an additional operating activities according to the indirect method too. Both methods however result in the same cash flow from operating activities. To create the cash flow statement, it is helpful to keep the business equation in mind. The business equation states that short-term assets and long-term assets equal total liabilities plus equity. This is true for all transactions together as well as a single transaction, or the transactions over a period. Therefore, the change in assets (∆assets) must also be equal to the change in liabilities (∆liabilities) plus the change in equity (∆equity). Adding/subtracting the changes in all the non-cash T-accounts adds up to the change in cash. However, this is not yet an informative cash flow statement. However, it is a starting point for creating the cash flow statement. What we need is to allocate all these changes to the three categories: operating, investing and financing activities. With the indirect method, net income is taken as the starting point to compute operating cash flow. All cash flows which are also an expense/revenue are included in net income. Hence, items that require an adjustment are (1) items that are included in the calculation of net income, but which are not a cash flow, or (2) items that are a cash flow, but are not included in the income statement. Depreciation is an example of an item that affects net income, but does not affect cash flows. At the time of investment, cash is spent on a long term asset. The depreciation during the economic lifetime is an expense (but not a cash flow). Hence, depreciation is added back to net income in the operating cash flow section. Examples of items where the cash flow does not have to match the expense/revenue include the following: cash received from customers does not have to be the same as revenue; cash paid to suppliers does not have equal cost of goods sold; interest paid does not have to equal interest expense, etc. Current assets and liabilities (with the exception of interest-bearing debt) are operations related. That means that the change in all current assets and current liabilities will be included in the operating section of the cash-flow statement. This makes sense, because these T-accounts are used because of accrual accounting. With the indirect method net income (accrual accounting) is being corrected to result in operating cash flow (cash accounting). Hence, the corrections basically ‘undo’ the accrual accounting. Furthermore, during the year a machine with a historic cost of 80, and a book value of 30 is sold for 32 in cash. When the firm sells a long term asset at a gain or a loss the cash flow of the disinvestment is an investing cash flow. At the same time, the gain or loss affects net income, which is the starting point for computing operating cash flow. As a result, the gain or loss needs to be adjusted for in the operating cash flow section. The firm sells a machine for 45 cash, which is an investing cash flow. The book value of the machine was 40. Assume this is the only transaction during the period, so net income is 5 and operating cash flows are 0. The correction ‘gain on sale machine -5’ is needed to undo the gain on sale of +5 which has increased net income.The correction ‘gain on sale machine -5’ is needed to undo the gain on sale of +5 which has increased net income. Remember that the cash flow statement uses cash basis accounting instead of accrual basis accounting that the balance sheet and income statement. With the indirect method, net income is taken as the starting point to compute operating cash flow, with corrections for (1) items that are included in the calculation of net income, but which are not a cash flow, and (2) items that are a cash flow, but are not included in net income. Some countries’ GAAP can allow flexibility with respect to classification of cash flows. For example, under IFRS interest paid can be classified as an operating cash flow as well as a financing cash flow. The cash flow statement brings the details from the income statement and balance sheet to provide information about a business’s sources and uses of cash over a specified period of time. The cash flow statement can be used to analyze the liquidity and long term solvency of a business. The cash flow statement removes non-cash transactions that may be on the income statement like depreciation expense for equipment. This allows further detail on which areas of the business are generating cash. The cash flow statement is also beneficial as the income statement cannot show the flow of cash since when it is prepared using the accrual basis of accounting. Many consider the cash flow statement to not be as important as the income statement or the balance sheet, but there it is the only statement out of the three that can really be used to understand the financial trends of a business. It is also a very useful statement when a company is being sold as it provides the acquirer the necessary data to support the business’s ability to support the asking price through the cash generation from operations. What are the three types of cash flow? What does a cash flow statement do? A cash flow statement shows the inflows and outflows of cash. Inflows include business sales, income or revenues and outflows which include any payments like inventory, rent, etc. How do you calculate the cash balance in cash flow statement? Besides generating a cash flow statement and calculating the cash inflows and outflows, you can verify the cash balance by verifying the cash flow statement’s ending balance equals the cash total on the balance sheet as the two must balance. How do you calculate cash generated from operations? 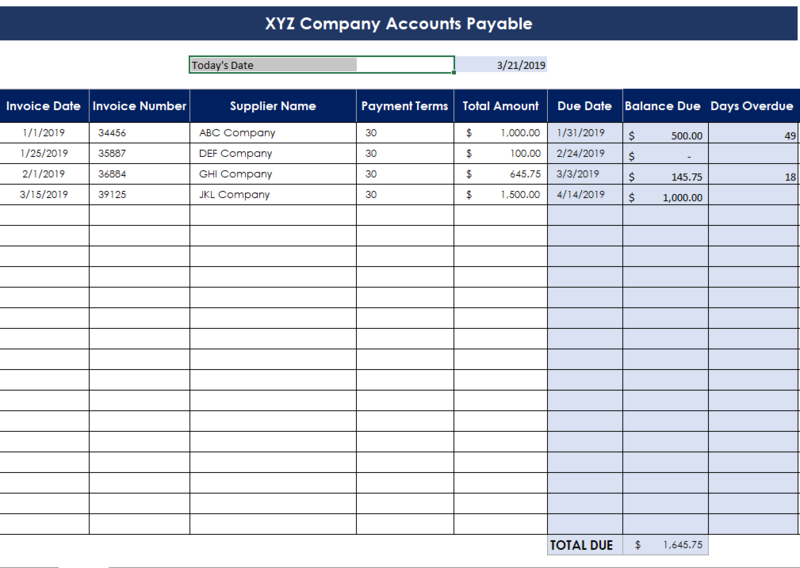 How do you calculate cash paid to suppliers? To find how much a business paid cash to suppliers using the cash flow statement use the equation; Cash paid to suppliers = Cost of goods sold + increase in inventory – increase in accounts payable. Where do you find the beginning cash balance? On the cash flow statement, the beginning cash balance should equal the ending cash balance of the previous period. How does the cash flow statement link to the balance sheet? The cash flow statement measures cash inflows and outflows and the amount of cash the company has on hand can be calculated which is also reported in the balance sheet. What is a pro forma cash flow statement? A pro forma cash flow statement is a future projection of cash inflows and outflows for a business. The cash flow statement is important because it is the most transparent of the three financial statements since it’s difficult to manipulate cash. Investors often use for valuing a business and confirming the cash generated by the business can support the price the business is being sold for. Another useful aspect of the cash flow statement is to detect fraud, as is a large disparity between the income statement and cash flow statement may indicate improper activities. 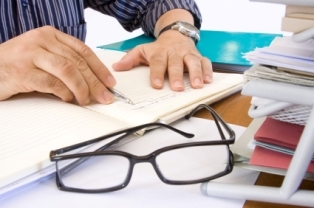 Who uses cash flow statements? Business owners, accountants, bankers and buyers of businesses use the cash flow statement to analyze the cash generation and cash inflows and cash outflows of a company. It is also used to analyze the liquidity and long term solvency of a company. What is net change in cash? The net change in cash is the difference between a business’s cash inflows and outflows over a given period. Free cash flow, or sometimes abbreviated FCF, is a key indicator of a business’s health and liquidity and measures a business’s operating cash flow minus capital expenditures. Free cash flow is the amount of cash the company has left after it has paid for all of it’s operating expenses. What are the major differences between cash flow statement and income statement? 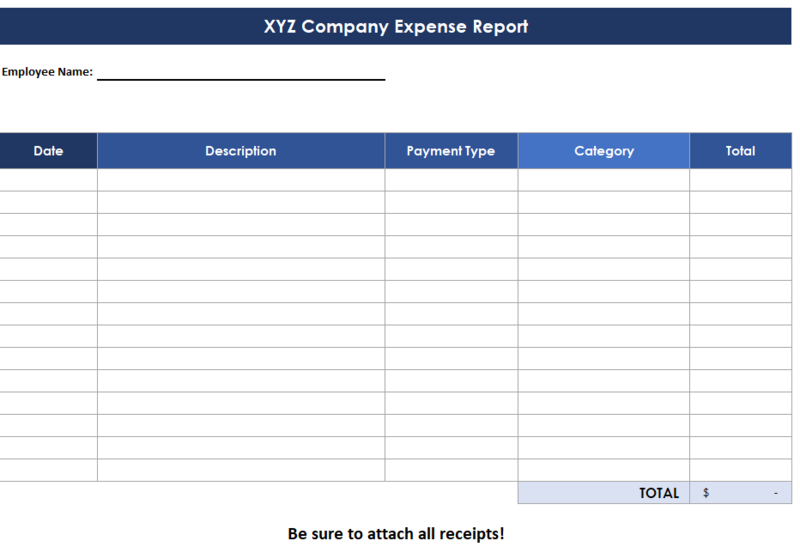 The income statement reports information on the financial performance of a business in terms profitability by calculating income and expenses. The cash flow statement reports the sources of a company’s cash and its uses of cash. How is depreciation reported on the statement of cash flows? Depreciation doesn’t show up on the cash flow statement. Depreciation is only reported on the income statement and balance sheet. What is direct and indirect method of cash flows statement? The direct method reports actual cash flow information from cash receipts and payments from business operations. Cash flow is calculated by subtracting cash outflows from cash inflows. The indirect method uses accrual accounting information. Cash flow is calculated by taking net income and adjusting for changes in the assets and liabilities account of the balance sheet.